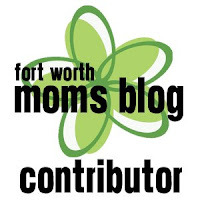 A few weeks ago I posted about the State Fair over at Fort Worth Moms Blog, and in doing so, it prompted my husband and I to load up the kids for a mid-week trip. I didn't grow up going to the fair each year, and who knows if we'll go every year with the kids, but it's fun for now. We went on Wednesday, which was the canned food drive day. With 3 canned goods, you got in for $3 a piece. The highlight of the trip for Jack was the Children's Barnyard. Annabelle was pretty "meh" about the whole thing. I don't think we'll be signing her up for 4-H anytime soon. So far I haven't brought out my scarves. I'm sweating just thinking about it. Are you an early scarf-wearer?